…equipped to change the world for the better, one person at a time. Steve interviews bestselling authors, Patrick Lencioni (The Five Dysfunctions of a Team, The Three Big Questions for a Frantic Family), and Matthew Kelly (The Dream Manager, The Rhythm of Life: Living Every Day with Passion and Purpose) about their unique GTY relationship. Pat and Matthew are crystal clear about the philosophy behind GTY, and through their actions and insight, they provide a sterling example for the rest of us to emulate. Steve presented the Greater Than Yourself approach to the staff and students of Up With People, a non-profit international youth leadership development program. He then challenged each of the staff to choose someone as their GTY Project as they traveled around the world for a six-month tour. See how they struggled with and ultimately succeeded in putting GTY into practice. Tell us about your Greater Than Yourself experiences. Have you taken on a project of your own? Has someone chosen you to be their GTY? Is it working? Is it failing? We want to hear it all! 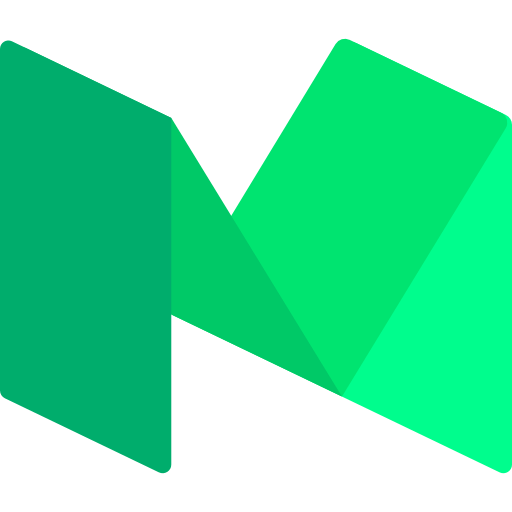 Tell us your story in detail, provide us with your contact information, and…who knows? You may end up on this site as a learning example for the rest of us. 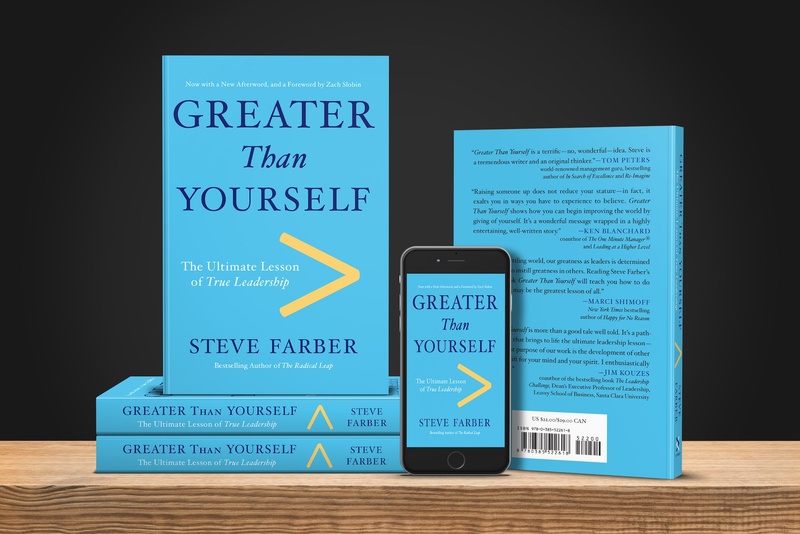 Steve Farber and his team of world-class advisors can help you can bring the Greater Than Yourself approach into your organization, company or team—and make it a part of your culture. It’s not an easy, “off-the-shelf” task, but it can certainly be done with the right combination of guidance, facilitation, and coaching. Contact us and we’ll be happy to begin exploring the possibilities with you. Sometimes, just getting started is the hardest part. 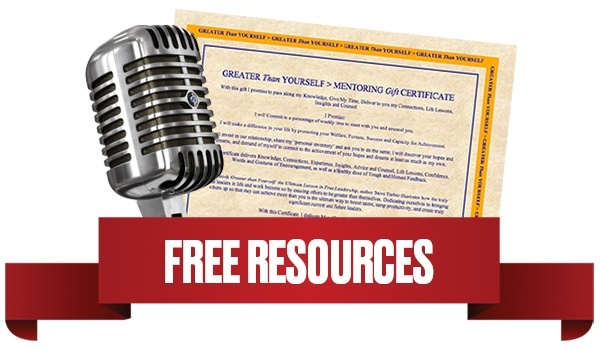 In the exclusive, personal audio lesson, Greater Than Yourself author, Steve Farber, shares tips and insights on how to choose your GTY project. What if you could give someone a really special gift that would cost you no money at all? And what if that no-cost gift could significantly change another’s life? Well, you could and it will. You can give YOURSELF as a “gift” to someone you love by taking that person on as your Greater Than Yourself (GTY) Project.